DOES THE 2018 BMW X7 HAVE A THIRD ROW? DOES THE 2018 BMW X3 OFFER A TRAILER HITCH? One of the most challenging driving maneuvers is parallel parking in between two cars. 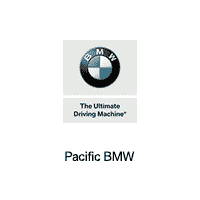 However, the BMW Park Distance Control makes it easy by using an array of ultrasonic sensors. Watch this video to see how to use it. WHAT IS THE RELEASE DATE OF THE 2018 BMW X2? WHAT IS ACTIVE DRIVING ASSISTANT IN 2018 BMW 6 SERIES GRAN TURISMO? What is the top speed and 0-60 time of 2018 BMW M550i xDrive? What is the Difference Between the BMW M2 and the BMW M4?